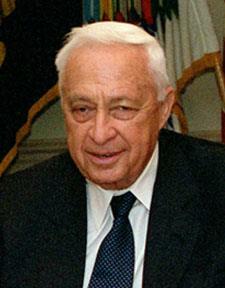 Ariel Sharon (Hebrew: אריאל שרון‎; IPA: , Ariʼēl Sharōn, also known by his diminutive Arik, אַריק, born Ariel Scheinermann, אריאל שיינרמן‎; February 26, 1928 – January 11, 2014) was an Israeli politician and general who served as the 11th Prime Minister of Israel until he was incapacitated by a stroke. Sharon was a commander in the Israeli Army from its creation in 1948. As a soldier and then an officer, he participated prominently in the 1948 War of Independence, becoming a platoon commander in the Alexandroni Brigade and taking part in many battles, including Operation Ben Nun Alef. He was an instrumental figure in the creation of Unit 101 and the Reprisal operations, as well as in the 1956 Suez Crisis, the Six-Day War of 1967, the War of Attrition, and the Yom-Kippur War of 1973. As Minister of Defense, he directed the 1982 Lebanon War. Sharon was considered the greatest field commander in Israel's history, and one of the country's greatest military strategists. After his assault of the Sinai in the Six-Day War and his encirclement of the Egyptian Third Army in the Yom Kippur War, the Israeli public nicknamed him "The King of Israel". Upon retirement from the military, Sharon entered politics, joining the Likud, and served in a number of ministerial posts in Likud-led governments in 1977–92 and 1996–99. He became the leader of the Likud in 2000, and served as Israel's prime minister from 2001 to 2006. In 1983 the Kahan Commission, established by the Israeli Government, found that as Minister of Defense during the 1982 Lebanon War Sharon bore "personal responsibility" "for ignoring the danger of bloodshed and revenge" in the massacre of Palestinian civilians by Lebanese militias in the refugee camps of Sabra and Shatila. The Kahan Commission recommended Sharon's removal as Defense Minister, and Sharon did resign after initially refusing to do so. From the 1970s through to the 1990s, Sharon championed construction of Israeli settlements in the West Bank and Gaza Strip. 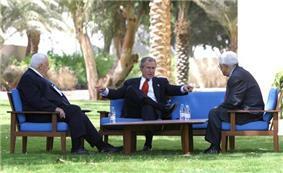 However, as Prime Minister, in 2004–05 Sharon orchestrated Israel's unilateral disengagement from the Gaza Strip. Facing stiff opposition to this policy within the Likud, in November 2005 he left Likud to form a new party, Kadima. He had been expected to win the next election and was widely interpreted as planning on "clearing Israel out of most of the West Bank", in a series of unilateral withdrawals. After suffering a stroke on January 4, 2006, Sharon remained in a permanent vegetative state until his death in January 2014. Sharon was born on February 26, 1928 in agronomy and his mother was studying medicine. His mother, Vera, was from a family of Russian Subbotnik Jewish origin. They immigrated to Mandatory Palestine in 1922 in the wake of the Russian Communist government's growing persecution of Jews in the region. The family arrived with the Third Aliyah and settled in Kfar Malal, a socialist, secular community. 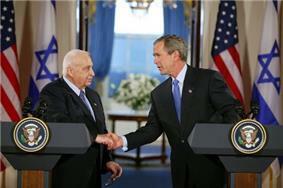 (Ariel Sharon himself would remain proudly secular throughout his life.) Although his parents were Mapai supporters, they did not always accept communal consensus: "The Scheinermans' eventual ostracism ... followed the 1933 Arlozorov murder when Dvora and Shmuel refused to endorse the Labor movement's anti-Revisionist calumny and participate in Bolshevic-style public revilement rallies, then the order of the day. Retribution was quick to come. They were expelled from the local health-fund clinic and village synagogue. The cooperative's truck wouldn't make deliveries to their farm nor collect produce." For his role in a night-raid on Iraqi forces at Bir Adas, Sharon was made a platoon commander in the Alexandroni Brigade. 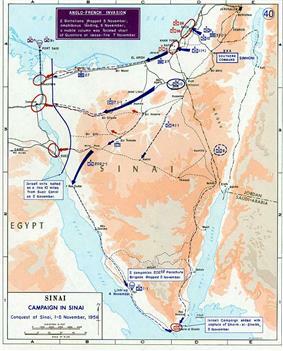 Following the Israeli Declaration of Independence and the onset of the War of Independence, his platoon fended off the Iraqi advance at Kalkiya. Sharon was regarded as a hardened and aggressive soldier, swiftly moving up the ranks during the war. He was shot in the groin, stomach and foot by the Jordanian Arab Legion in the First Battle of Latrun, an unsuccessful attempt to relieve the besieged Jewish community of Jerusalem. Sharon wrote of the casualties in the "horrible battle," and his brigade suffered 139 deaths. After recovering from the wounds received at Latrun, he resumed command of his patrol unit. On December 28, 1948, his platoon attempted to break through an Egyptian stronghold in Iraq-El-Manshia. At about this time, Israeli founding father David Ben-Gurion gave him the Hebraized name "Sharon". In September 1949, Sharon was promoted to company commander (of the Golani Brigade's reconnaissance unit) and in 1950 to intelligence officer for Central Command. He then took leave to begin studies in history and Middle Eastern culture at the Hebrew University of Jerusalem. Sharon's subsequent military career would be characterized by insubordination, aggression and disobedience, but also brilliance as a commander. 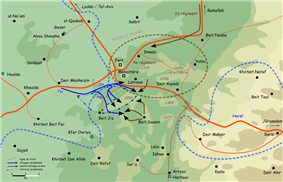 In retaliation for fedayeen attacks on Israel, Unit 101 undertook a series of raids against Jordan, which then held the West Bank. The raids also helped bolster Israeli morale and convince Arab states that the fledgling nation was capable of long-range military action. Known for raids against Arab civilians and military targets, the unit is held responsible for the widely condemned Qibya massacre in the fall of 1953. After a group of Palestinians used Qibya as a staging point for a fedayeen attack in Yehud that killed a Jewish woman and her two children in Israel, Unit 101 retaliated on the village. By various accounts of the ensuing attack, 65 to 70 Palestinian civilians, half of them women and children, were killed when Sharon's troops dynamited 45 houses and a school. The Mitla incident hindered Sharon's military career for several years. In the meantime, he occupied the position of an infantry brigade commander and received a law degree from Tel Aviv University. 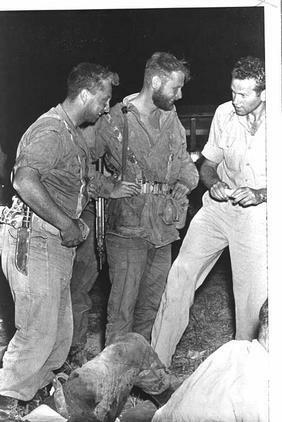 However, when Yitzhak Rabin became Chief of Staff in 1964, Sharon began again to rise rapidly in the ranks, occupying the positions of Infantry School Commander and Head of Army Training Branch, eventually achieving the rank of Aluf (Major General). 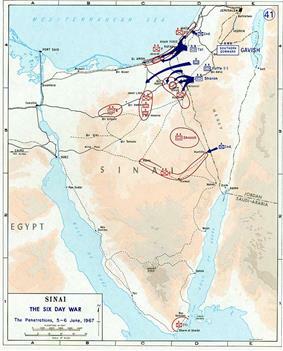 Assigned a defensive role in the 1967 Six-Day War, Sharon, in command of the most powerful armored division on the Sinai front, instead drew up his own complex offensive strategy that combined infantry troops, tanks and paratroopers from planes and helicopters to destroy the Egyptian forces Sharon's brigade faced when it broke through to the Kusseima-Abu-Ageila fortified area. Sharon's victories and offensive strategy in the Battle of Abu-Ageila led to international commendation by military strategists; he was judged to have inaugurated a new paradigm in operational command. Researchers at the United States Army Training and Doctrine Command studied Sharon's operational planning, concluding that it involved a number of unique innovations. It was a simultaneous attack by a multiplicity of small forces, each with a specific aim, attacking a particular unit in a synergistic Egyptian defense network. As a result, instead of supporting and covering each other as they were designed to do, each Egyptian unit was left fighting for its own life. Sharon played a key role in the War of Attrition. 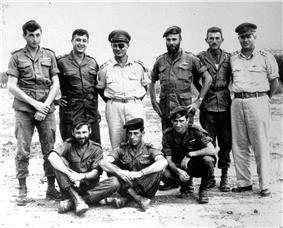 In 1969, he was appointed the Head of IDF's Southern Command. As leader of the southern command, on July 29 Israeli frogmen stormed and destroyed Green Island, a fortress at the northern end of the Gulf of Suez whose radar and antiaircraft installations controlled that sector's airspace. 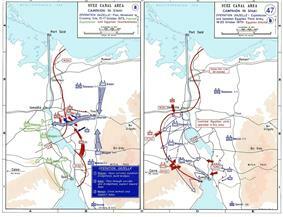 On September 9 Sharon's forces carried out a large-scale raid along the western shore of the Gulf of Suez. 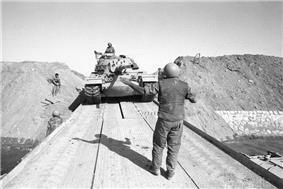 Landing craft ferried across Russian-made tanks and armored personnel carriers that Israel had captured in 1967, and the small column harried the Egyptians for ten hours. Bar Lev suggested that such a line would defend against any major Egyptian assault across the canal, and was expected to function as a "graveyard for Egyptian troops". Moshe Dayan described it as "one of the best anti-tank ditches in the world." Sharon, and Israel Tal on the other hand, vigorously opposed the line. Sharon said that it would pin down large military formations that would be sitting ducks for deadly artillery attacks, and cited the opinion of Rabbi Menachem M. Schneerson, who explained him "the great military disaster such a line could bring." Notwithstanding, it was completed in spring 1970. 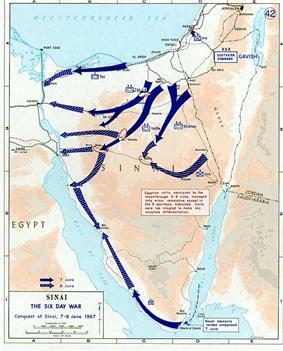 During the Yom Kippur War, Egyptian forces successfully breached the Bar Lev Line in less than two hours. At a cost of more than a thousand dead and some 5,000 wounded. Sharon would later recall that what Schneerson had told him was a tragedy, "but unfortunately, that happened." From June 1975 to March 1976, Sharon was a special aide to Prime Minister Yitzhak Rabin. He planned his return to politics for the 1977 elections; first, he tried to return to the Likud and replace Menachem Begin at the head of the party. He suggested to Simha Erlich, who headed the Liberal Party bloc in the Likud, that he was more fitting than Begin to win an election victory; he was rejected, however. He then tried to join the Labor Party and the centrist Democratic Movement for Change, but was rejected by those parties too. 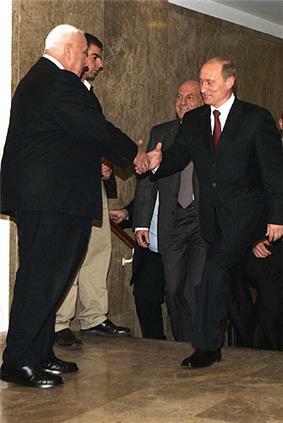 Only then did he form his own list, Shlomtzion, which won two Knesset seats in the subsequent elections. Immediately after the elections, he merged Shlomtzion with the Likud and became Minister of Agriculture. On his settlement policy, Sharon said while addressing a meeting of the Tzomet party: "Everybody has to move, run and grab as many (Judean) hilltops as they can to enlarge the (Jewish) settlements because everything we take now will stay ours. ... Everything we don't grab will go to them." ^ Robert Maroun Hatem, From Israel to Damascus, Chapter 7: "The Massacres at Sabra and Shatilla" online. Retrieved February 24, 2006. A $250 million park named for him is under construction outside Tel Aviv. When complete, the Ariel Sharon Park will be three times the size of New York's Central Park and introduce many new ecological technologies. A 50,000-seat amphitheatre is also planned as a national concert venue. Sharon was widowed twice. Shortly after becoming a military instructor, he married Margalit Zimmermann, with whom he had a son, Gur, but Margalit died in a car accident in May 1962 and Gur died in October 1967 after a friend accidentally shot him while they were playing with a rifle. After Margalit's death, Sharon married her younger sister, Lily Zimmermann. They had two sons, Omri and Gilad, and six grandchildren. Lily Sharon died of lung cancer in 2000. After spending eight years in a coma, Sharon died at 14:00 local time (12:00 UTC) on January 11, 2014. Sharon's state funeral was held on January 13 in accordance with Jewish burial customs, which require that interment takes place as soon after death as possible. His body lay in state in the Knesset Plaza from January 12 until the official ceremony, followed by a funeral held at the family's ranch in the Negev desert. Sharon was buried beside his wife, Lily. His death elicited reaction from Israeli and Palestinian leaders, among others. Sharon underwent a series of subsequent surgeries related to his state. He remained in a long-term care facility from November 6, 2006 until the time of his death. Medical experts indicated that his cognitive abilities had likely been destroyed by the stroke. His condition worsened from late 2013, and Sharon suffered from renal failure on January 1, 2014. In the elections, which saw Israel's lowest-ever voter turnout of 64 percent (the number usually averages on the high 70%), Kadima, headed by Olmert, received the most Knesset seats, followed by Labor. The new governing coalition installed in May 2006 included Kadima, with Olmert as Prime Minister, Labor (including Amir Peretz as Defense Minister), the Gil (Pensioner's) Party, the Shas religious party, and Israel Beytenu. On July 20, 2004, Sharon called on French Jews to emigrate from France to Israel immediately, in light of an increase in CRIF, which denied Sharon's claim of intense anti-Semitism in French society. An Israeli spokesperson later claimed that Sharon had been misunderstood. France then postponed a visit by Sharon. Upon his visit, both Sharon and French President Jacques Chirac were described as showing a willingness to put the issue behind them. After the collapse of Barak's government, Sharon was elected Prime Minister in February 2001, defeating Barak 68 percent to 32 percent. Sharon's senior adviser was Raanan Gissin. In his first act as prime minister, Sharon invited the Labor Party to join in a coalition with Likud. 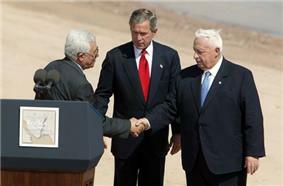 President Middle East peace process with Prime Minister Ariel Sharon of Israel, left, and Prime Minister of the Palestinian National Authority Mahmoud Abbas in Aqaba, Jordan, June 4, 2003. A survey conducted by Tel Aviv University's Jaffe Center in May 2004 found that 80% of Jewish Israelis believed that the Israel Defense Forces had succeeded in militarily countering the Al-Aqsa Intifada. After 400,000 Peace Now protesters rallied in Tel Aviv to demand an official government inquiry into the massacres, the official Israeli government investigation into the massacre at Sabra and Shatila, the Kahan Commission (1982), was conducted. The inquiry found that the Israeli Defense Forces were indirectly responsible for the massacre since IDF troops held the area. The commission determined that the killings carried out by a Phalangist unit acting on its own, but its entry was known to Israel and approved by Sharon. Prime Minister Begin was also found responsible for not exercising greater involvement and awareness in the matter of introducing the Phalangists into the camps. An  Habib Chartouni, a Lebanese Christian from the Syrian Socialist National Party confessed to the murder of Gemayel, and no Palestinians were involved.